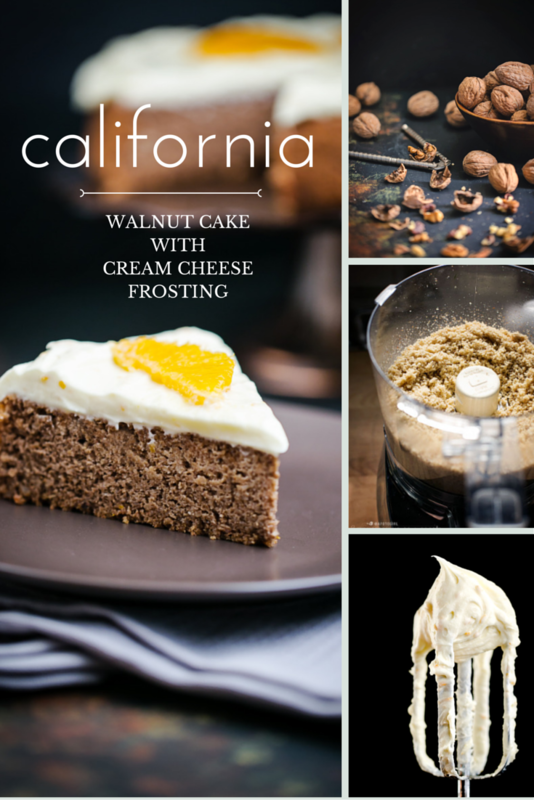 This California walnut cake is flourless, sugar-free, contains no shortening, and is free of leavening relying on whipped egg whites for structure. 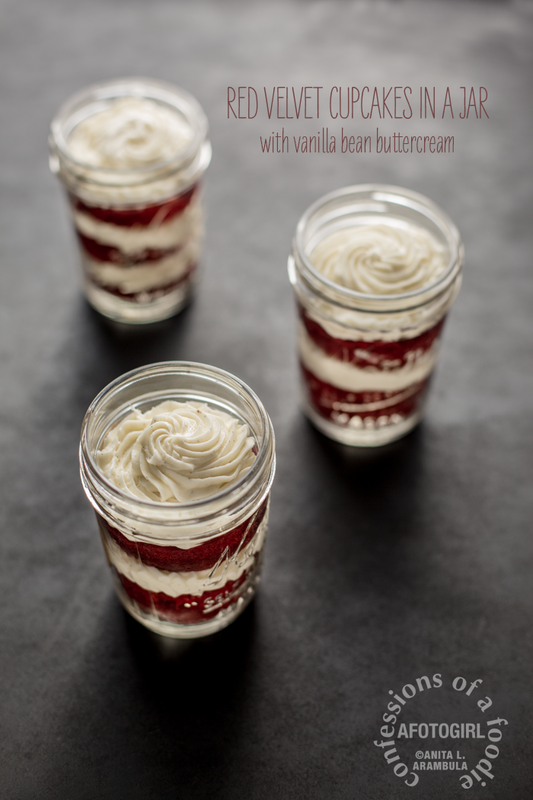 It's a gluten-free, low carb and diabetic-friendly dessert. Memories of childhood cakes run the gamut: from Betty Crocker box cake mixes to cakes shaped like Mickey Mouse or Barbie, from marble sheet cakes to rich and buttery pound cakes, and to Dad's favorite German chocolate. But there are three cakes that hold a special place in my heart, all made from scratch by mom: carrot cake with cream cheese frosting (which I often requested as a teenager after outgrowing cakes shaped like Disney characters), red Christmas cake (that's what her recipe calls it and it wasn't until adulthood that I came to know it as red velvet cake) with an old fashioned milk frosting , and California walnut cake with a fluffy white frosting that would often make an appearance around Thanksgiving or Christmas. Last year, I volunteered to make the desserts for our family's Christmas Eve dinner and as an homage to mom, I decided to make both her red Christmas cake and her walnut cake after my sister gave me a Xerox copy of Mom's original small, well-worn and, sadly, falling apart cookbook. When I told Mom what I was doing, she was super excited, especially for the walnut cake because she hadn't made it since we were all kids. 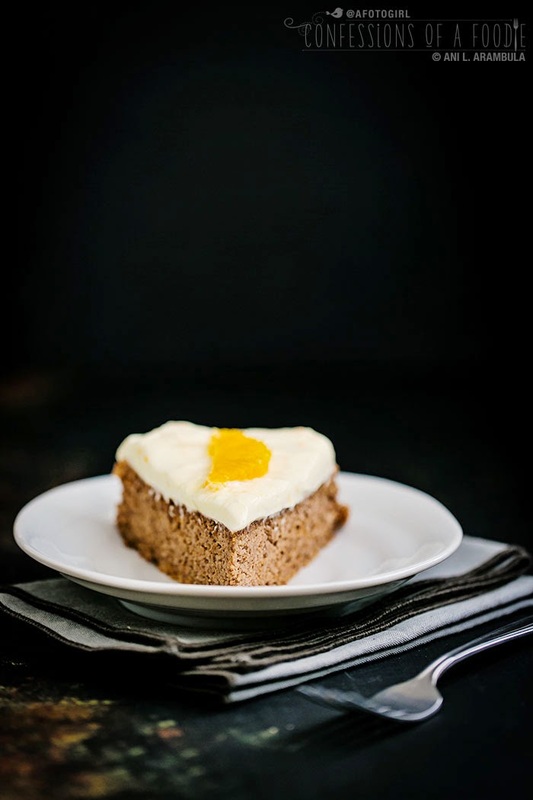 "Make this cake especially for diet-worriers, even though they will probably never believe it does not contain flour, leavening or shortening. 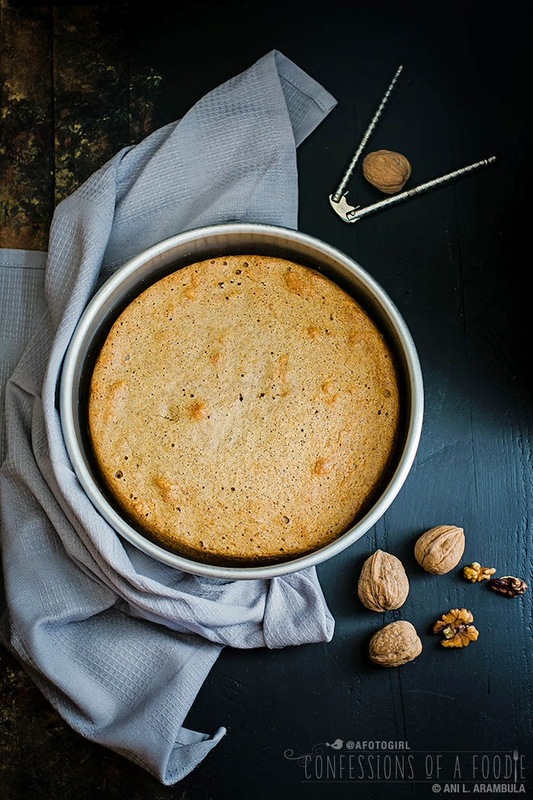 For that matter, serve it to all your friends … this light, yummy-nutty-flavored cake is one you'll want to make again and again." "… especially for diet-worriers …" is what cracks me up! The cake itself isn't too sweet, containing ¾ cup of white sugar. What kills me though is the ingredients for the frosting which include "1 envelope whipped topping mix" which I had to Google because I had no clue what it was. (It's a product called Dream Whip and once I saw the box, memories of seeing it in our cupboards came back to me.) Plus it has a pound of confectioner's sugar. Not too surprising since the majority of frosting recipes these days have that much and more. For Christmas last year – before my medical wake-up call – I made it exactly as written. It was a hit with everyone who tried it, one of my brothers-in-law even asking for more the next day. 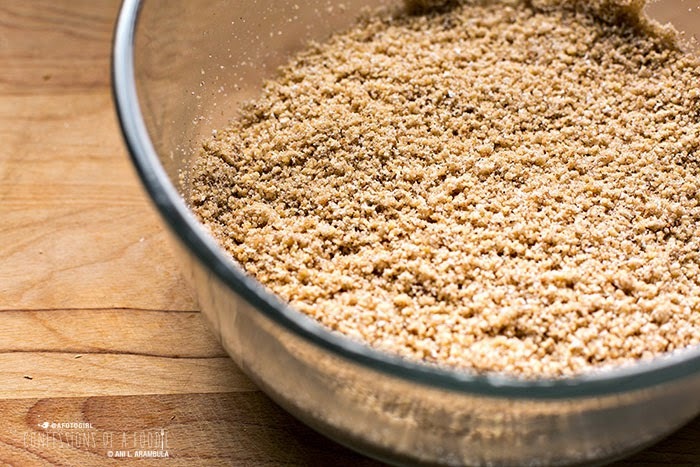 This cake is super simple, starting off with processing walnut meats to the consistency of couscous. 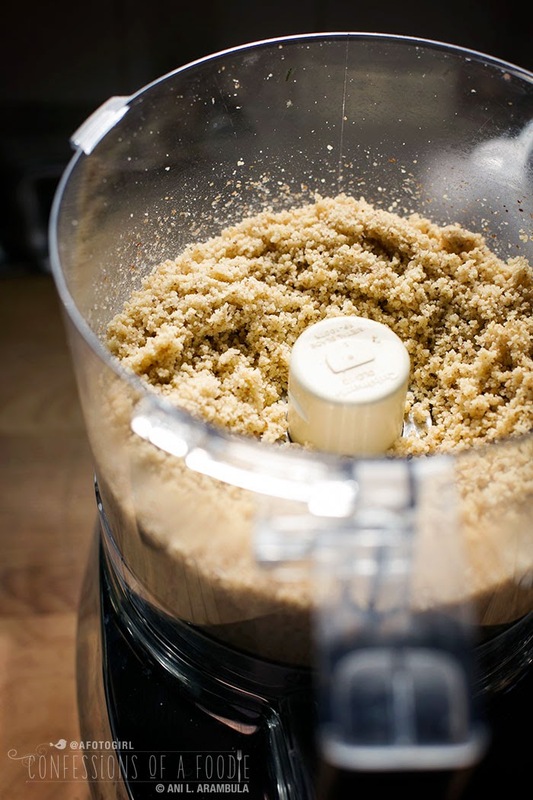 The original recipe was written pre-food processor days and says to use a meat grinder (really?) or a blender to pulverize nutmeats." Obviously, that wasn't too successful because it says to sieve the resulting flour, removing the coarser bits for decorating. 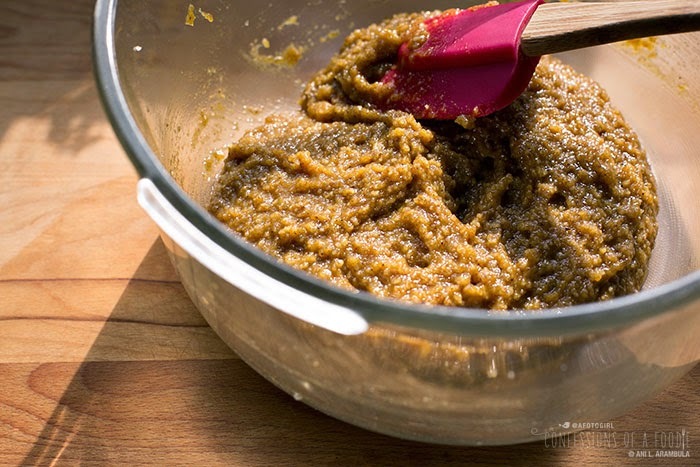 My food processor gave me a nice even grind – no need to sieve. 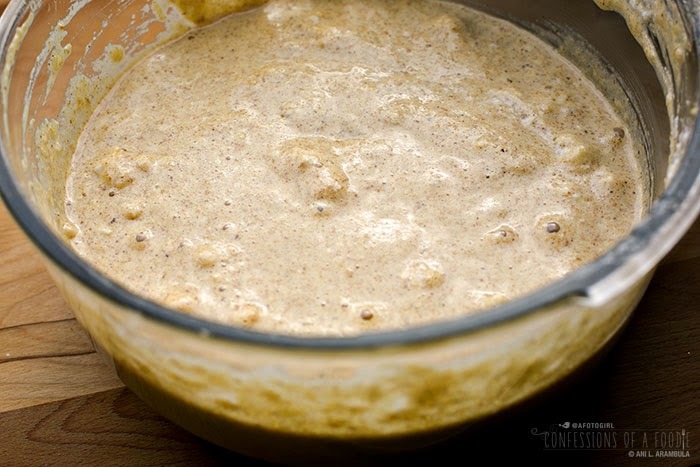 Be careful, though, not to go too far or you'll wind up with walnut butter. Of course, if you don't have a food processor, you can use a blender working the nutmeats a little at a time. My next deviation from the original recipe: it had no added flavorings. This time around, I wanted to give it some earthiness and warmth, giving it that distinctly holiday taste. I don't buy a lot of pre-made seasoning or spice mixes because I prefer to control the ratio of herbs and spices. Here, to warm up the cake, I added cinnamon, cloves, nutmeg and ginger. However, if you already have pumpkin pie spice, you can easily replace my suggested spices with 1½ teaspoons of it instead. Mixing the spices into the walnut and sugar mixture instantly made the kitchen smell just like the holidays. As for the sugar, I used a granulated sugar cup for cup replacement that is zero calorie with a glycemic index less than one so it's diabetic and low carb diet friendly. 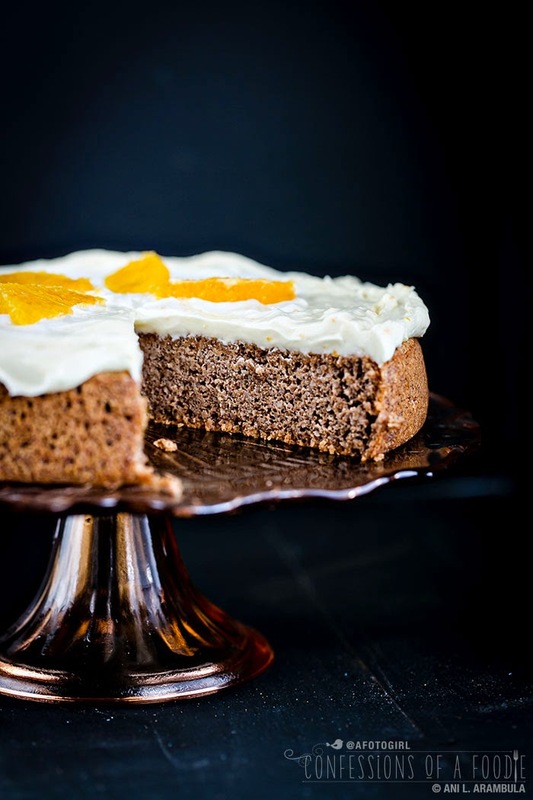 This cake has no leavening meaning it contains no baking powder or baking soda and receives its structure and lift from eggs. Because this cake contains such few ingredients, it's really important to use good quality ones. 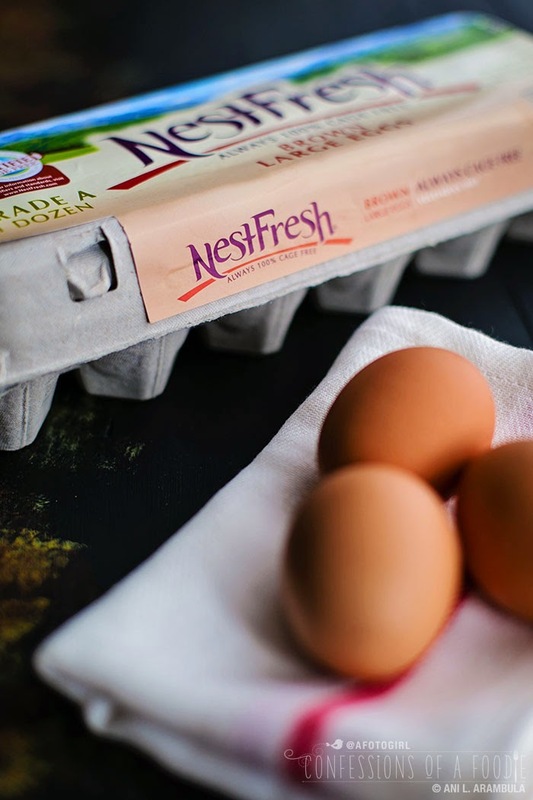 I use NestFresh Cage Free eggs whenever possible. 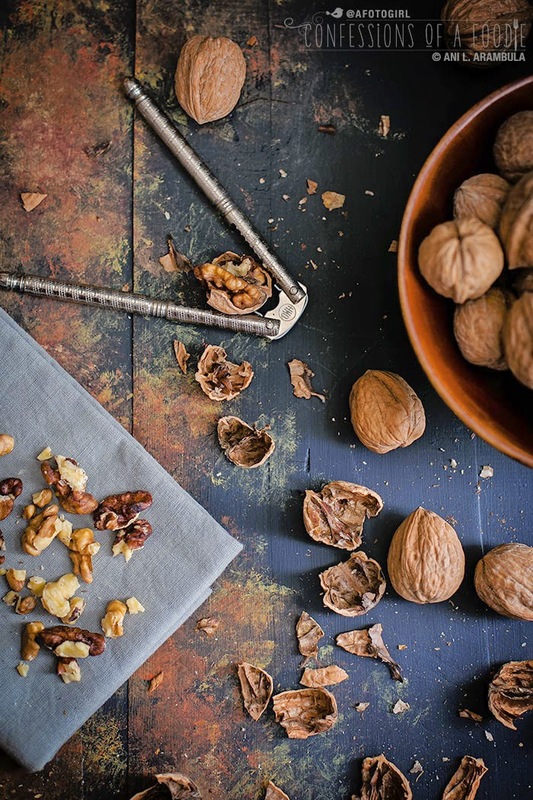 And here, they, along with the walnuts, are the highlight of this recipe. The eggs are separated; look at the color of those yolks. Gorgeous! The yolks are whisked until frothy. I wanted the cake's flavor profile brightened up a bit so I added my homemade orange extract to the yolks as I whisked them. Then the yolks got mixed into the walnut mixture. The batter will be thick and sticky. Then the whites are whipped to stiff peaks. Bit by bit, the whites are folded into the walnut mixture. This first addition is about a cups worth of whipped egg whites. I am not terribly gentle with this first addition. I always consider this the "sacrificial" step as the purpose of this first addition is to lighten up the mixture making the incorporation of the rest of the egg whites easier. The trick to folding is not to rush it. Place the new addition of egg whites to be folded in directly in the center. 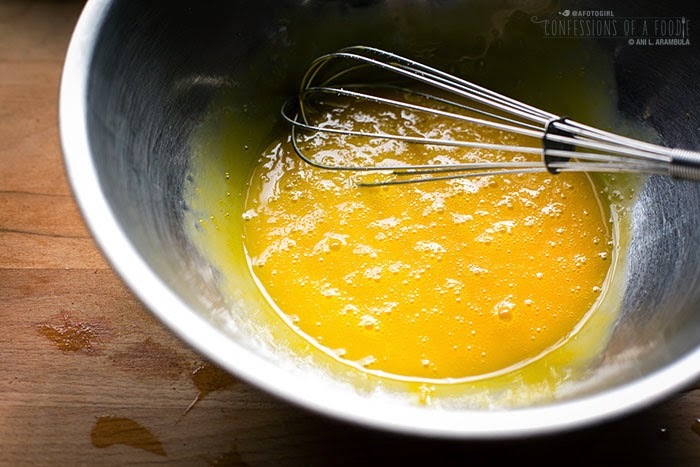 Using a rubber spatula, run the spatula along the bottom and edges of the bowl starting at the 9 o'clock position and as you near the 6 o'clock position you lift the batter from below up and over the center, covering the egg whites. Give the bowl a quarter turn towards you and repeat this procedure until most of the egg whites are incorporated before adding more. In this picture I've added about half of the whites. You can see the batter is getting lighter and you can see surface bubbles. Be careful to not be too rough with the folding (don't stir or beat) so as to not deflate the egg whites. Here, all the egg has now been folded in. You can see I still have a few scattered lumps but I'm satisfied, not wanting to deflate my batter by overworking it. At this point, it gets placed into a 9-inch cake pan that has had the bottom lined with wax paper or kitchen parchment and has been coated with cooking spray. The cake is baked slowly in a 325 degree Fahrenheit oven until the cake springs back when gently pressed (about 40-50 minutes). After five minutes of cooling in the pan, the cake will pull away from the sides. At this point, turn it out onto a wire rack to cool completely. While the cake is cooling, you'll make the frosting. I've completely changed up the frosting from the original recipe and am really happy I did. But first let me say, I am not generally a fan of cream cheese frosting. Wait. Rewind. I'm not generally a fan of frosting period. With the exception of Mom's Old Fashioned Frosting and of meringue-style frostings (French, Italian, Swiss), I find most frostings to be sickeningly sweet and I inevitably wind up scrapping most - or all - of it off. 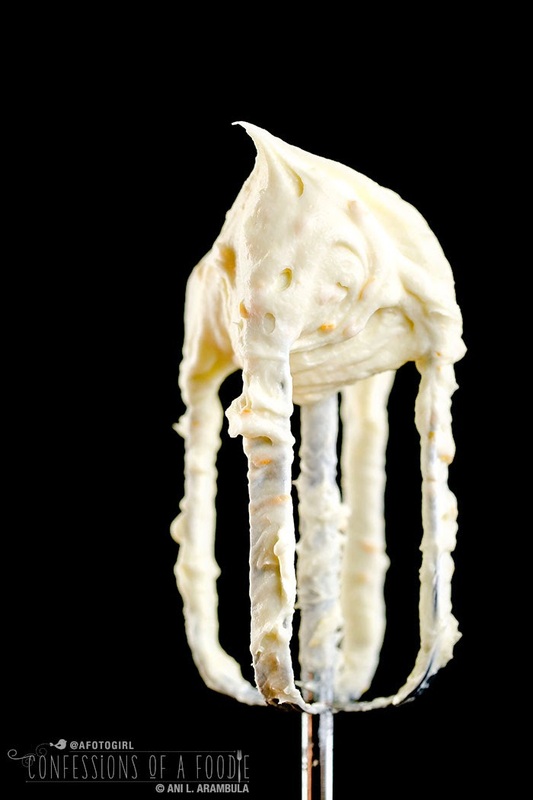 This cream cheese frosting, however, was born out of my love of cream cheese itself and wanting to use it as a frosting without getting bogged down by sweetness. Again, I'm using a stable sugar replacement for the confectioner's sugar made by the same manufacturer of the granulated sugar replacement I used in the cake. It's also zero calorie and will not affect blood sugar and like the granulated variety, has no aftertaste. The addition of the orange zest balances out the sweetness of the sugar and the tang from the cheese. Besides, seeing the little orange flecks in the frosting makes me happy. This recipe is just enough to cover the top of this cake so there is none leftover to worry about (but it can easily be doubled for use with your favorite layer cake recipe). 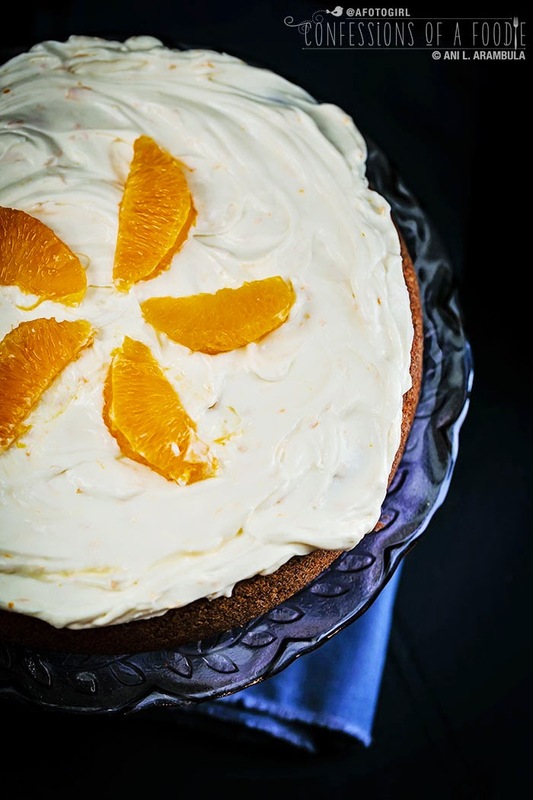 Decorate the top of the cake with however many orange segments you'd like left over from the orange that was zested. Due to the cream cheese, this cake will need to be stored in the refrigerator. I hope you consider making this light, nutty cake for your holidays. Your friends and family, especially those that are gluten sensitive, low carbers and diabetics, will love it. Ready to make it? Scroll down for the recipe. And just after that, you'll have a chance to enter to win one month of free NestFresh eggs, just in time for holiday baking! 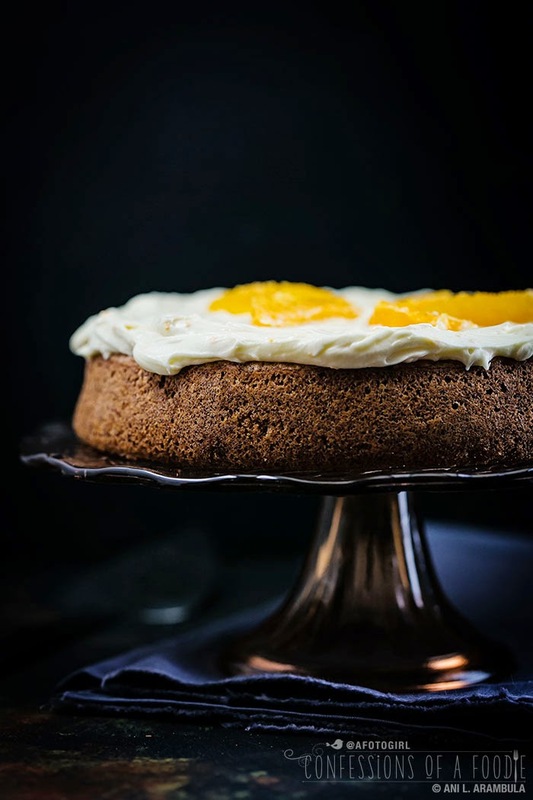 Because there are so few ingredients, use the best: freshly bought walnuts and good quality eggs, such as NestFresh Cage Free Eggs will definitely make this cake sing. If sugar isn't an issue for you, feel free to use regular white sugar in the cake and regular powdered sugar for the frosting. 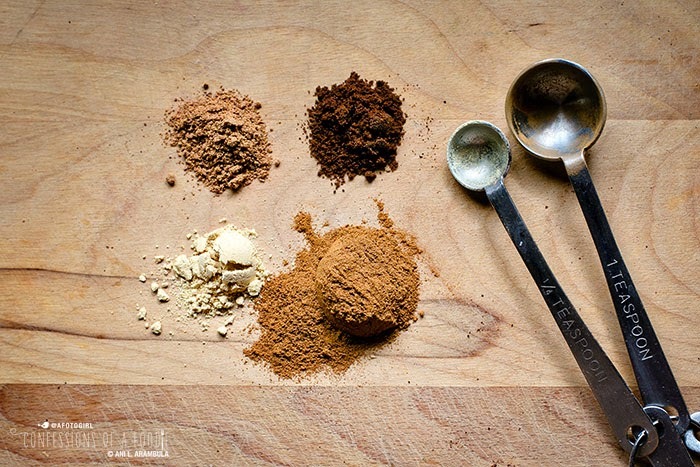 If you don't have all of the individual spices but you do have pumpkin pie spice, use 1 ½ teaspoons of it in place of my suggested spices. 1. 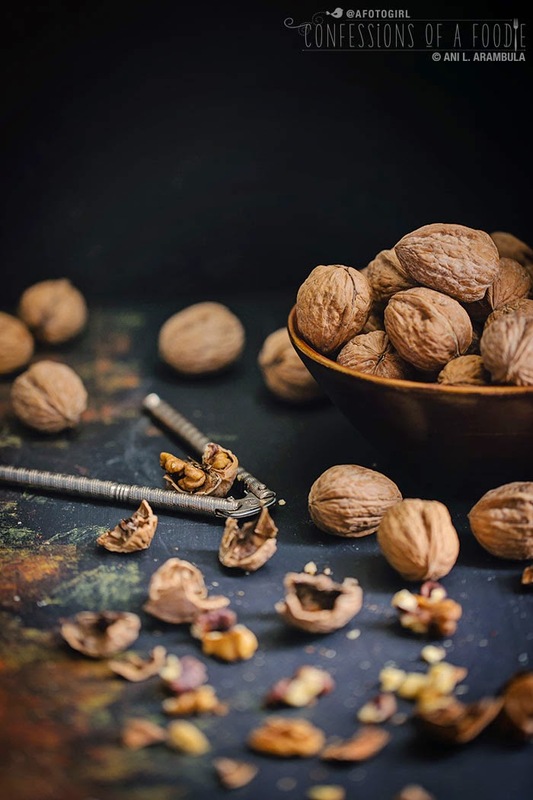 Grind walnut pieces in a food processor with the blade attachment until walnuts resemble couscous in texture, abut 3-5 minutes, scrapping down the sides with a rubber spatula as needed. Alternately, working in batches, pulse in a blender to finely grind. Remove flour to a large mixing bowl. Whisk in the sugar, salt and spices. 2. Separate the eggs, placing yolks into a small bowl and whites into a large bowl. Set aside the whites. 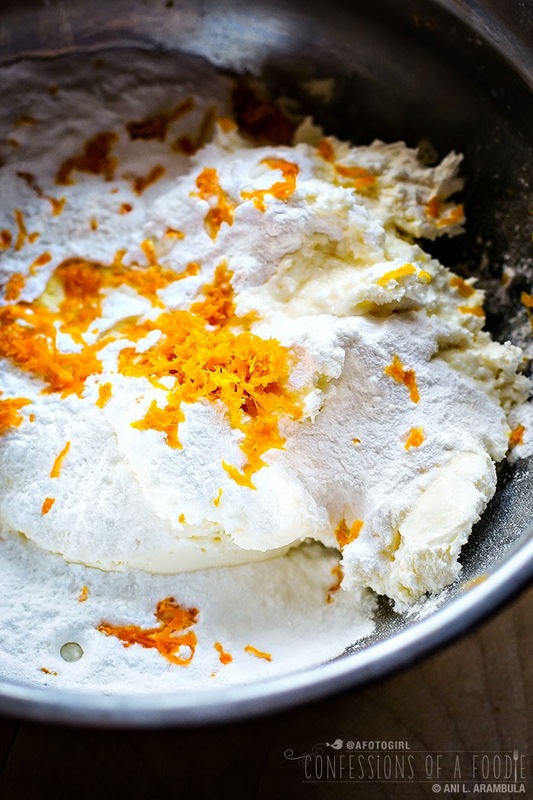 Beat the yolks with the orange extract until light and frothy. Add the yolks to the walnut mixture; stir well to incorporate. Set aside. 3. Preheat oven to 325 degrees Fahrenheit. Trace the bottom of a 9-inch cake pan on wax paper or kitchen parchment. Cut out circle. Lightly coat the bottom of the pan with cooking spray and place the paper circle on the bottom of the pan. Coat the paper and sides of pan with cooking spray. Set aside. 4. 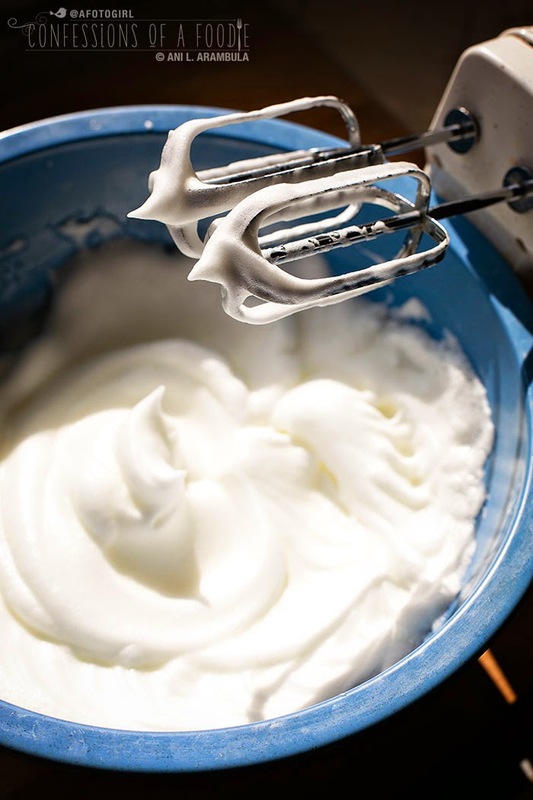 Whip the egg whites with electric hand beaters or a stand mixer on low until egg whites are light and frothy. Increase speed to high and whip until firm peaks are achieved. Scoop out about 1 cup of egg whites and gently fold into the walnut mixture, turning the bowl a quarter turn after every fold. Continue folding in the egg whites, in thirds until all the whites have been added, careful not to over mix as this will deflate the egg whites. 5. Pour batter into prepared pan. Bake until the cake springs back when gently touched, about 40-50 minutes. Remove cake and cool in pan for 5 minutes before turning out onto a cooling rack, removing paper from bottom of cake. Let cool completely before frosting. 1. 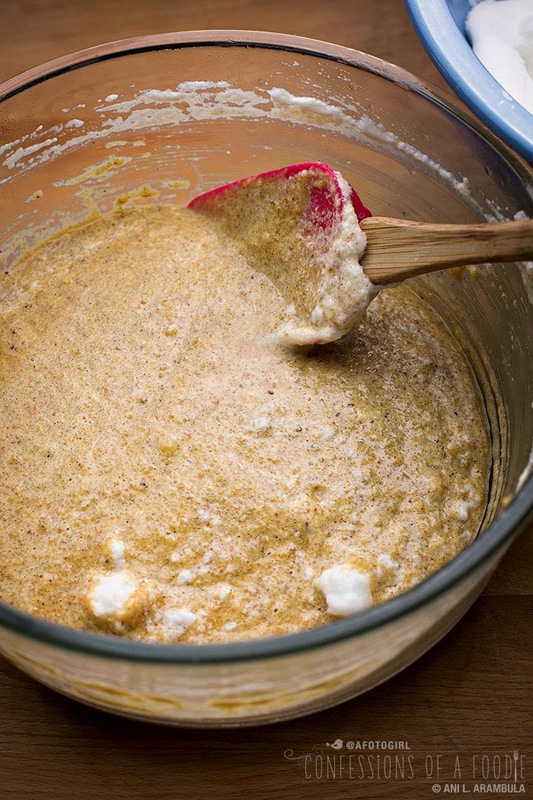 Beat cream cheese, sugar, zest and ¼ cup of the whipping cream until smooth. 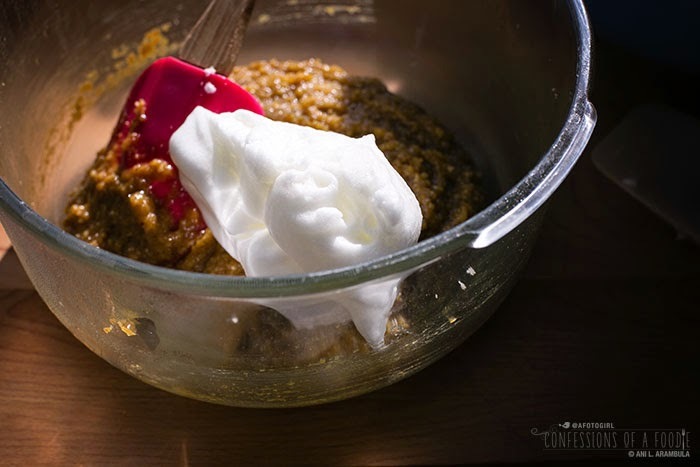 Add more cream, a tablespoon at a time, until desired consistency is reached. 2. Place cake on cake stand. Frost just the top of the cake. Decorate with orange segments. Store cake covered with plastic wrap in refrigerator until ready to serve, allowing cake to rest at room temperature for 15 minutes before slicing. 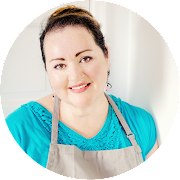 DISCLOSURE: NestFresh provided me with coupons to purchase eggs for this recipe and are sponsoring the giveaway. I was not otherwise compensated and all opinions are 100% my own. This post contains affiliate links. Until next time, friends! Good luck with the NestFresh Eggs Giveaway! To enter the giveaway, follow the instructions in the Rafflecopter widget below. You must use the Rafflecopter widget to be eligible to win. You can earn up to 8 entries today and receive an additional entry once per day if you tweet about the giveaway. Contest ends at 12:00 a.m. on Monday, November 24. Winner will be randomly selected by Rafflecopter. I will email winner who will then have 24 hours respond and claim their prize. If no response is made by the time indicated in the announcement email, a new winner will be selected. Winner will be announced here and on my other social media platforms. Prize will be fulfilled directly by NestFresh Eggs in the form of 4 coupons for one dozen free NestFresh Eggs. Open to U.S. Residents only. Good luck! Happy holiday baking! Looks absolutely delicious. Gorgeous photos as always, Ani! Baked apple fritters! my gram made the best and i usually got to help make them too! Even without the giveaway,I wanted to save this recipe and make it. It looks divine. I love that it was a specialty of your moms. Favorite treat was my mom's lemon meringue pie, love that my recipe is written by her. I've never had a walnut cake before but yet walnuts are my favorite nut. This is a 'must do' on my list. Thank you so much for sharing. Love your blog. My favorite childhood baked treat was my mother's fabulous pumpkin cream cheese roll-up! Kathy: I've never had anise cookies. Will have to look that up. 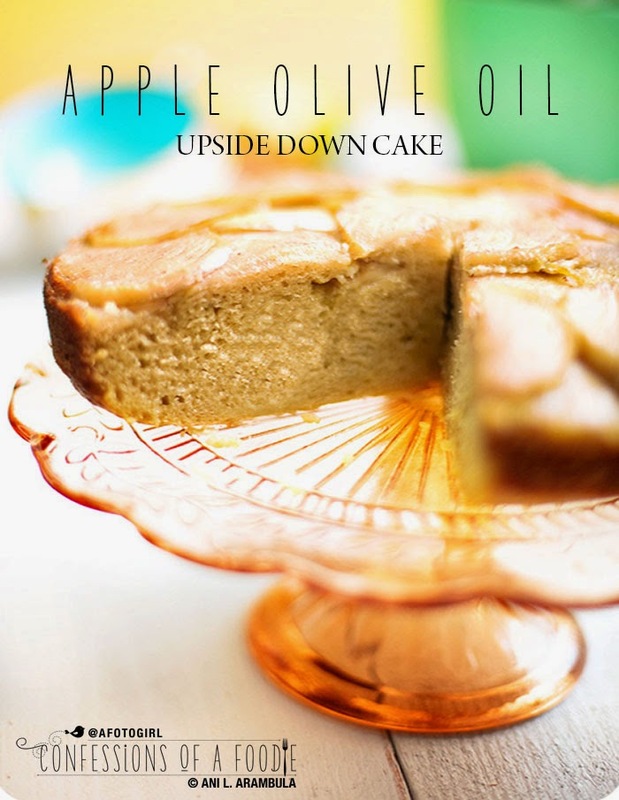 love this cake, it looks wonderful and FODMAP friendly. Growing up, my grandmother made the most amazing napoleon that was my favorite thing. The only baked treat I remember from childhood is brownies.